Who Is My Baby Can Talk? About Your Sponsor for the Babies and Sign Language Com Website Contest! My Baby Can Talk is a series of award winning DVDs and board books that teaches babies and parents to communicate at an early age, reducing frustration and creating a special bond that is so important for healthy child development. Babies are able to communicate at a much earlier age than they are able to speak. Research shows that babies who use sign language tend to speak sooner with larger vocabularies, longer sentences, show an increase in IQ scores, and engage in more sophisticated play. 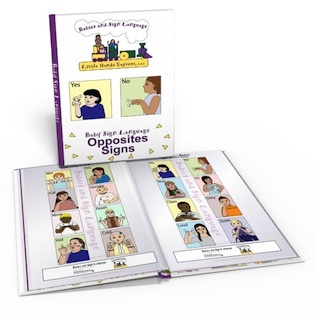 Honored with more than twenty national parenting awards including Parents Choice and reviewed and endorsed by child psychologists, professionals in the media, as well as early childhood educators; My Baby Can Talk inspires preverbal communication using sign language as well as first spoken words. 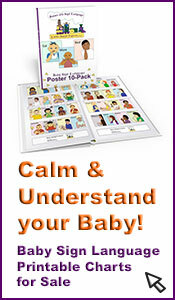 The My Baby Can Talk DVD Series is the first program featuring preverbal babies signing all the words presented. Set to inspiring classical music, My Baby Can Talk videos feature beautiful real world images, delightful puppet shows, colorful toys in motion and babies communicating with simple gestures. The My Baby Can Talk Board Books are truly unique in subject and format with no equal available on the market today. Each page comes alive with the word, a vibrant real world image and a delightful poem for parents to share with their babies. In addition, an illustration of the sign and a formal sign description is offered for parents to learn and teach to their little ones. 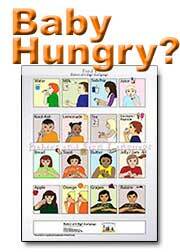 These books are designed to inspire babies to learn to sign, learn to speak and begin to recognize the written word. All over the next three months! 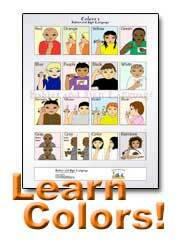 Just simply enter the Baby Sign Language contest(s)! 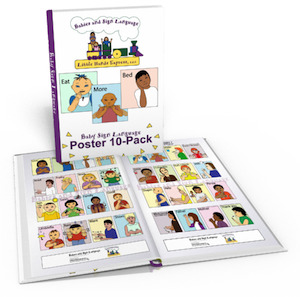 Win My Baby Can Talk - First Signs DVD and Board Book - by clicking here to enter your baby sign language story - contest today! 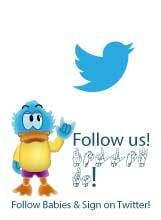 Click here to ask us about the Babies and Sign Language Contest or to ask about any infant signs related question!